I believe that all of French and in America as well as around the world witness the beautiful and outpouring generosity of prayers love and pledge of support to rebuild the Notre Dame Cathedral . In September 2001,I witnessed and some friends including the late Fr Michael Judge OFM , a Secular Franciscan named Carol de Plante our doorman brother and my husband's relative or friend's relative had died in the fire. As Christ had said ; the Church will last until the end of time Amen . It's horrible what happened to Notre Dame, but let us be clear-- Jesus would NOT rebuild the church before all humans were fed and cared for in the immanent and looming climate crisis. Furthermore, it is important to recognize Paul built the Christian Church, not Jesus. Jesus did not say the church will last until the ends of time-- Christ wasn't a Christian, he was Jewish. The only thing Jesus said himself in the Bible-- "I am that I am and you are the same as me". To be like Jesus, is to understand Notre Dame is only a building-- Christianity and Christ have no walls. 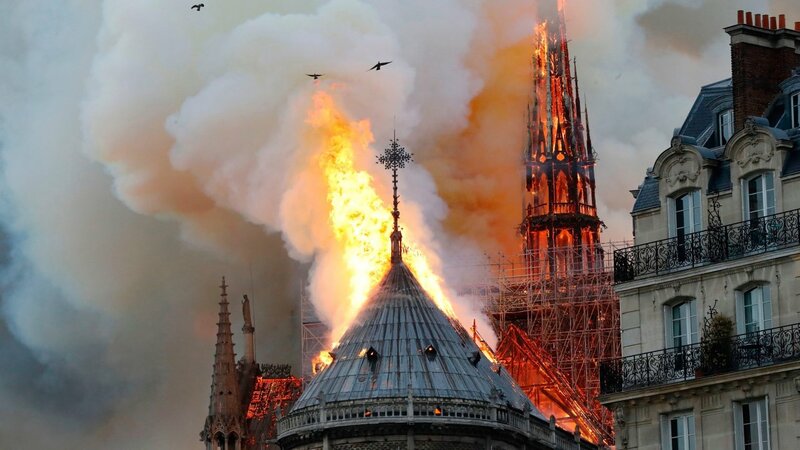 Please Pope Francis, tell France to rebuild developing world BEFORE they rebuild Notre Dame. This is in fact what Jesus would do.